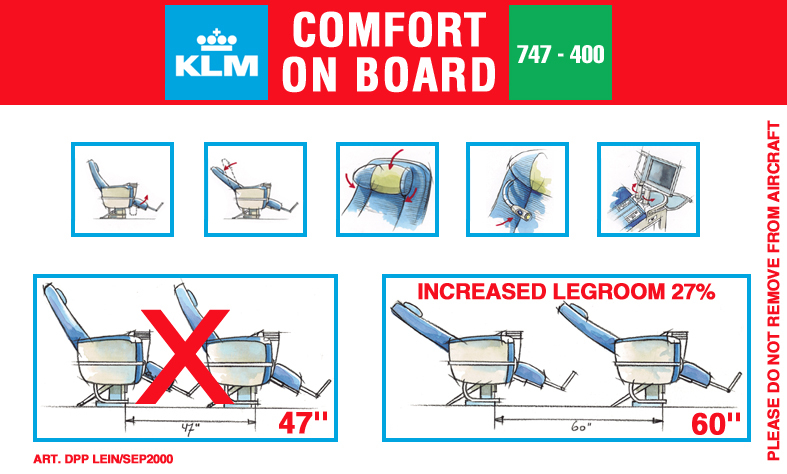 “Comfort on board card”. 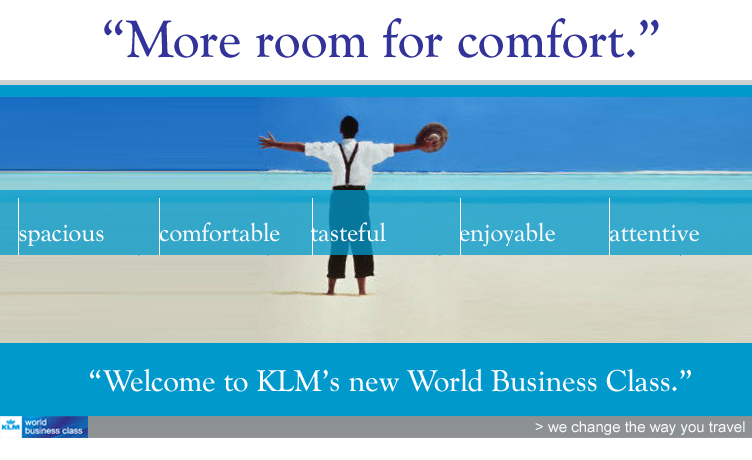 New KLM World Business Class has improved. Seats removed allowing more leg space. 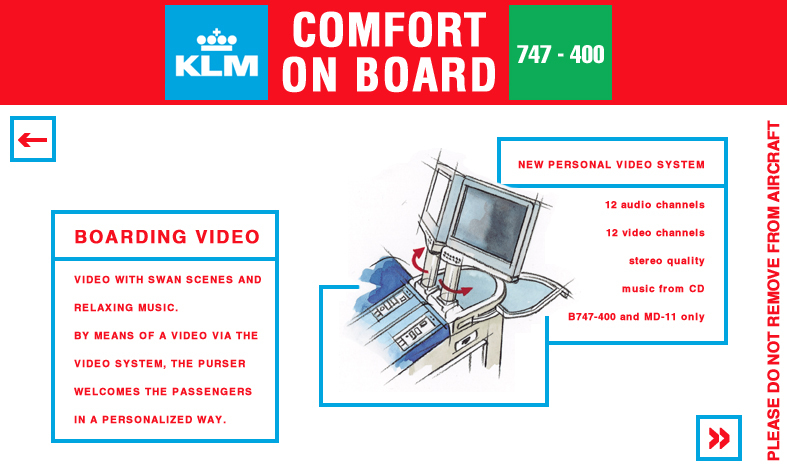 This first concept is the actual safety card onboard , but it is an convenience card. Animations of all improvements on board. A film where the flight attendant does not show the safety onboard, with oxygen mask and life jacket, but shows how the seats are comfortable traveling in the New World Business Class. 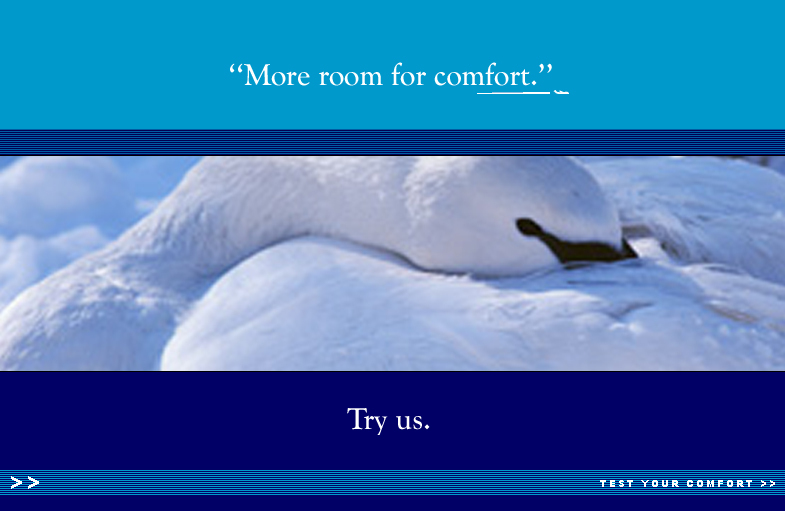 “Take the comfort test”. 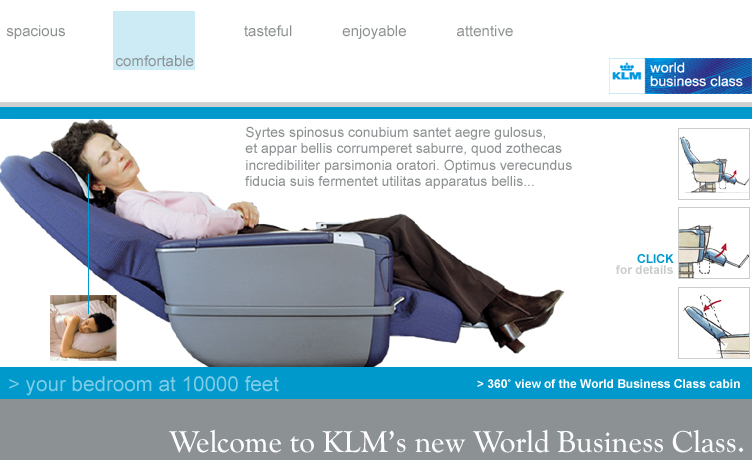 This concept shows the New World Business Class using a comfort test. After the multiple choice questions you have all the information you need. 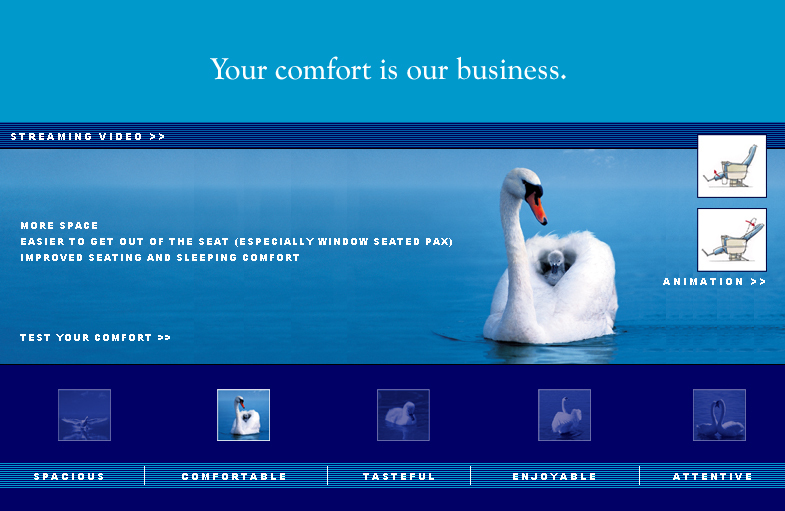 “More room for comfort”. This concept will fly the New World Business Class passengers as comfortable as real life, using morphs. A woman in her own bed as comfortable as sleeping on board, a businessman doing his work in the New World Business Class as comfortable as behind his own desk.